Dublin Fringe, which will celebrate its 25th year in 2019, is Ireland’s leading multi-disciplinary festival with events spanning cabaret, comedy, spoken word, theatre, visual and live art and music. 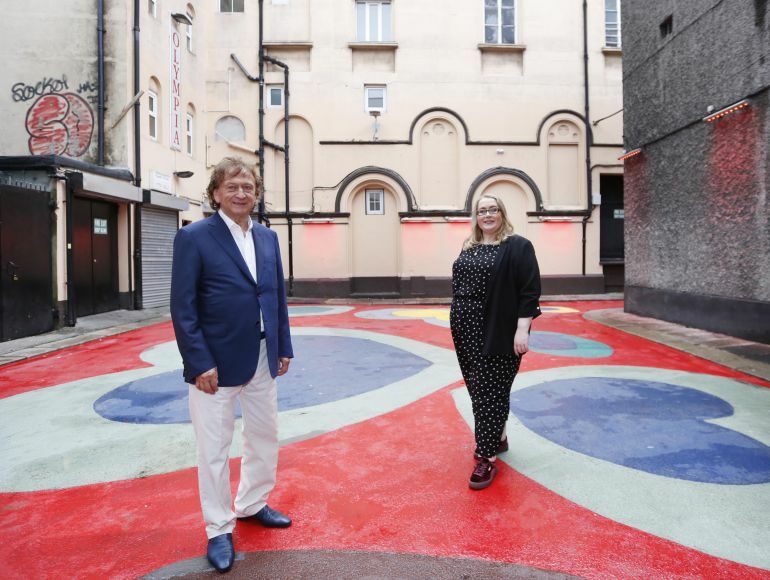 “It’s the agenda-setting festival of new work in the country”, said the Festival’s Director Ruth McGowan and “the place for artists to make their mark”. She describes Dublin Fringe as “a love letter to the city” when a range of different spaces from streets, parks and civic buildings come alive with ‘high-quality art happenings”, and as she puts it, “stuff you can stumble upon” in your lunch break or daily commute, as well as performances in theatres, studios and cultural centres. Around ninety per cent of the performers and artists are from Ireland and the remainder are international. Unlike many other arts festivals, Dublin Fringe is “wholly curated and handpicked by the programming panel” to ensure its message is always relevant, explains McGowan. But one message that remains consistent is the need to ensure that the creative community is valued and supported. “The city is changing very quickly and space is at a premium. It’s important to acknowledge that the creative community is a big part of what makes the city special, so we need to make sure that artists aren’t being forced out”. “Having Ballymore on board will help us gain access to some of the city’s new spaces,” she said, adding it was “exciting” to be working with the developer for the Festival’s 25th birthday which she promises will be “a party to remember’. The 16-day festival this September hosted 80 events in 26 venues across the city, attracting over 44,000 visitors and for many audience members it was their first experience of a live arts event. 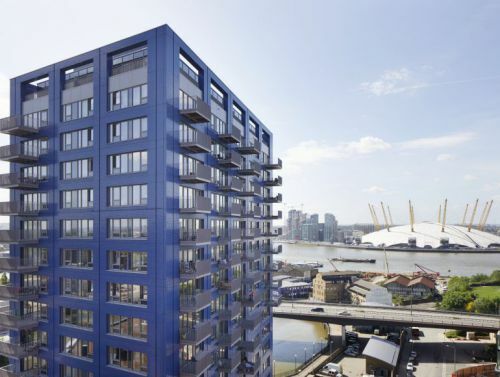 Ballymore’s patronage of Dublin Fringe is a major step for the company and follows a number of significant investments in the arts this year, including the Unity Arts Festival, a creative workspace for artists at London City Island and The Line, London’s first contemporary art trail. 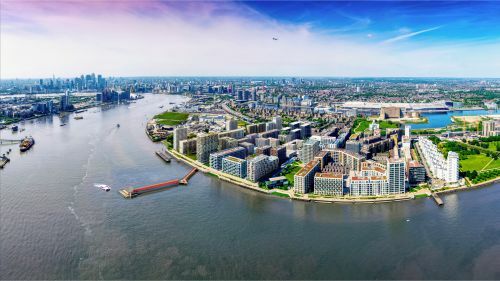 This is in addition to the new cultural quarter Ballymore is establishing on London City Island with the English National Ballet and the London Film School relocating there this year. 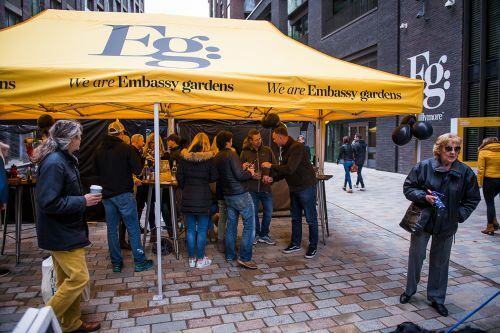 After a successful launch last autumn, the Embassy Gardens Market is back – and set to become a regular Saturday destination throughout the summer showcasing a mouth-watering range of street food from around the world.